Renault, one of Europe's major automakers, is trying to help us imagine a world with fewer cars. 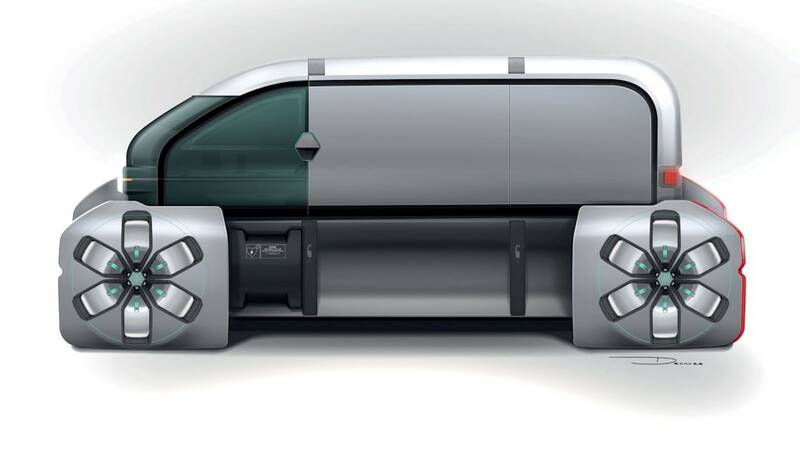 Earlier this year, it unveiled the EZ-GO concept, a sort of anti-Uber autonomous ride-sharing vehicle for the masses. 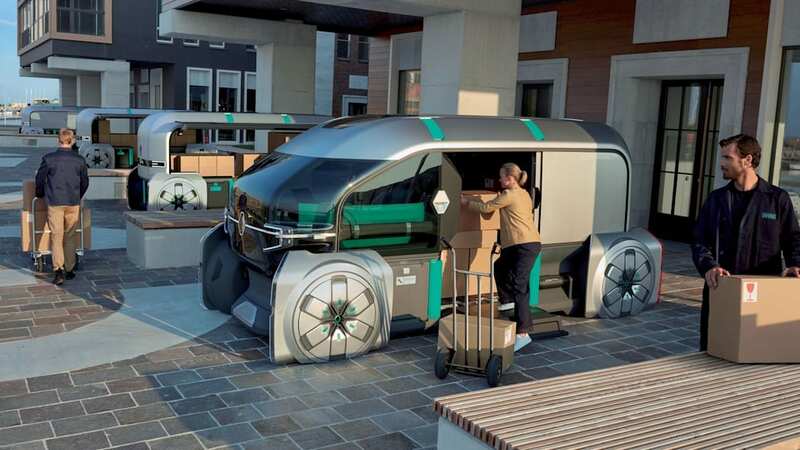 Now, it has taken the wraps off EZ-PRO, a last-mile autonomous electric delivery vehicle system that can double as a coffee truck, portable office and postal outlet on wheels. The EZ-GO was one of the most interesting concepts we've seen this year, so how does the EZ-PRO stack up? 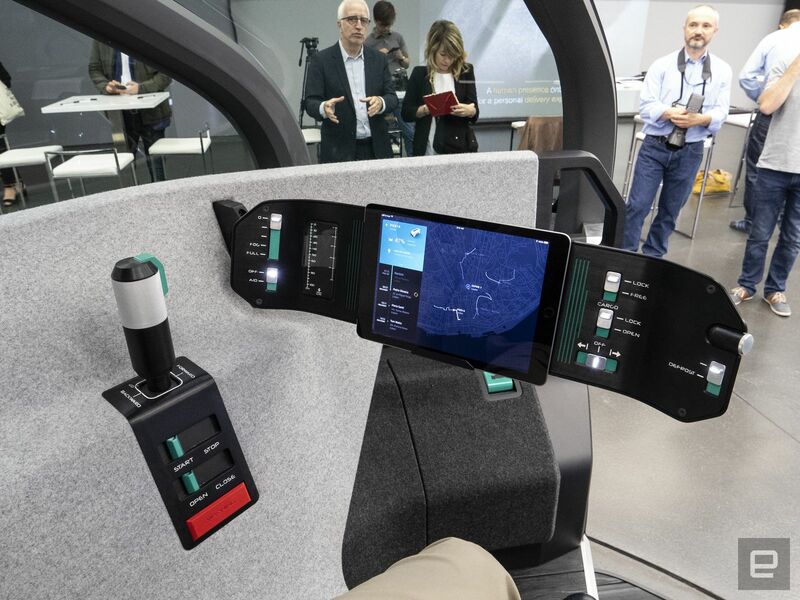 At the company's TechnoCentre near Paris, we get a closer look at Renault's multitasking, multipurpose self-driving solution. 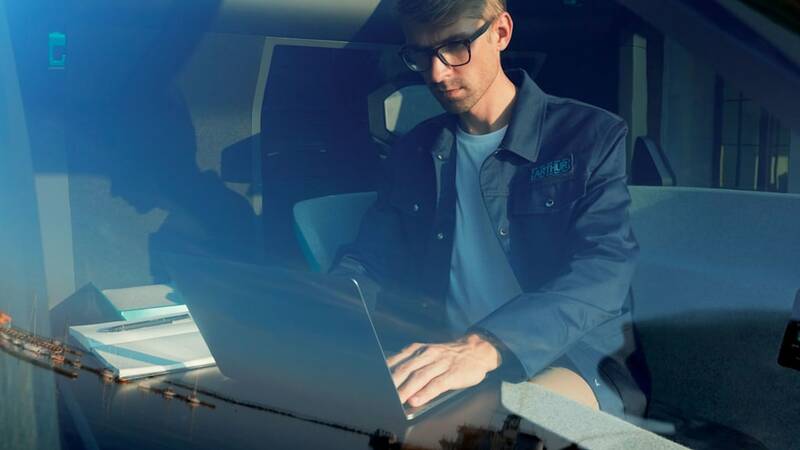 "EZ-GO was the first chapter, where we showed how mobility services can be applied to personal transportation," Renault Corporate Design Director Laurens van den Acker told Engadget. 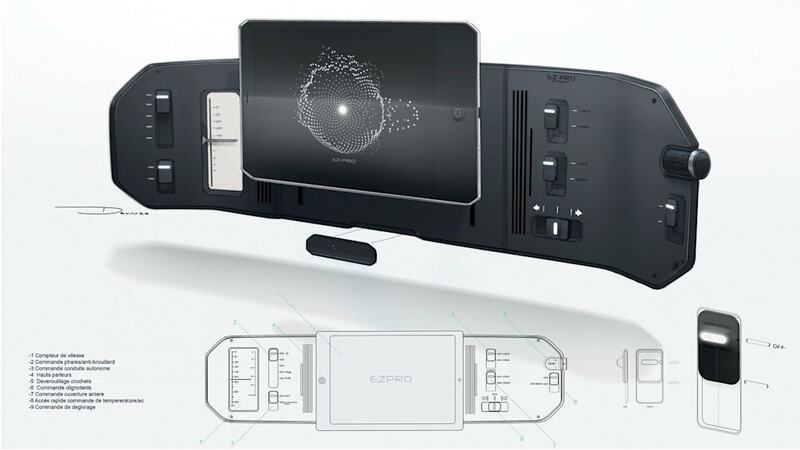 "EZ-PRO is our vision on urban mobility for utilitarian use, for commercial use. It's another side of mobility services that we expect to increase enormously in the years to come." 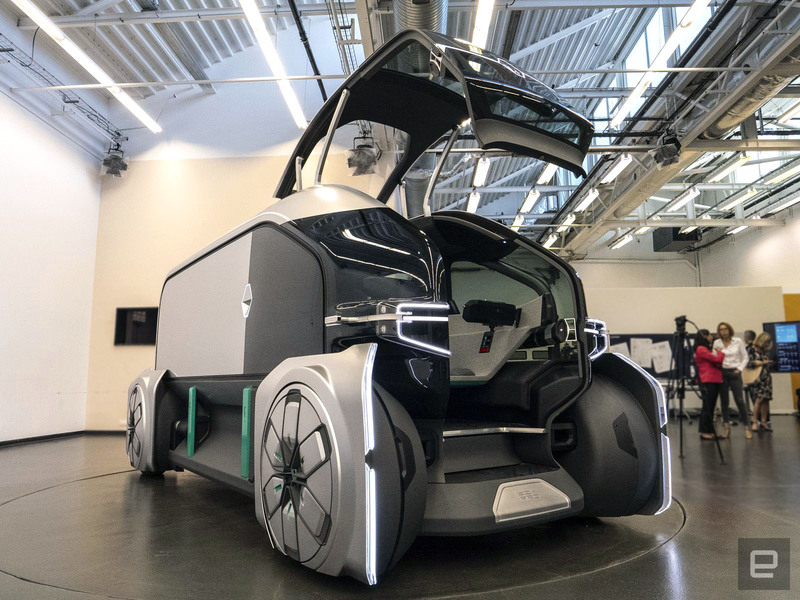 EZ-PRO is a lot different from Toyota's e-Palette, the Mercedes Vision Urbanetic and other delivery concepts we've seen so far. 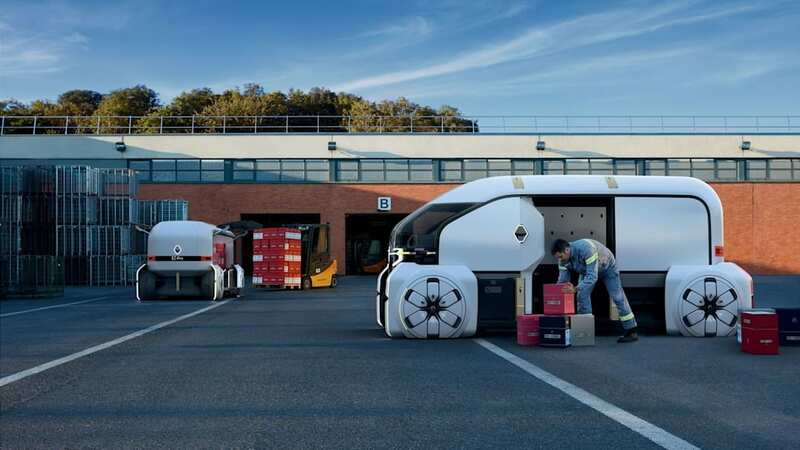 The system consists of two parts: a "Leader Pod" that can hold both parcels and a human concierge and "Robo Pods" that carry packages or act as a food truck, portable grocery store, or whatever else the operator wants to do. When I saw it at the TechnoCentre, the EZ-PRO was pretty much a static display unit, though all the ports (doors, retractable steps and screens) work. 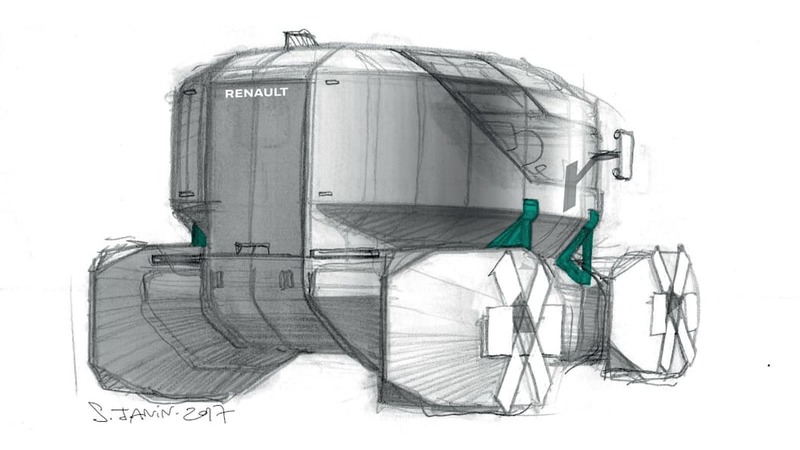 Renault did move the Leader and Robo Pods forward and backwards a few times at the end of the event and promised it will be more dynamic when it's shown off at the Hanover Auto Show starting September 19th. 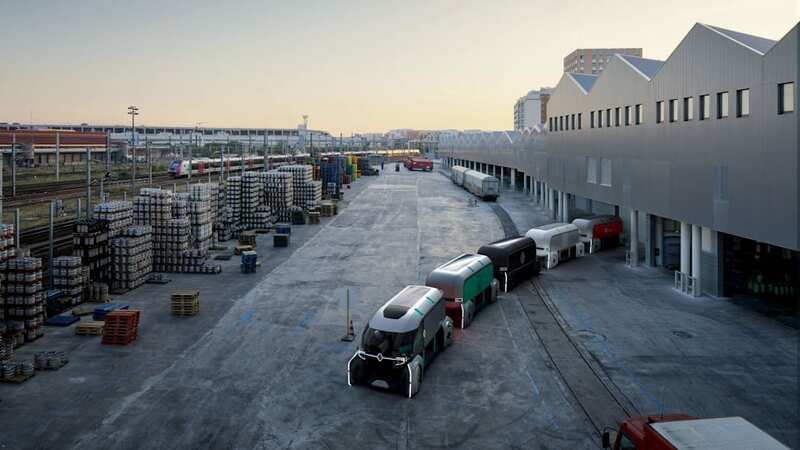 The Leader Pod and Robo Pods can depart as a sort of train, linked together electronically in a platooning mode. 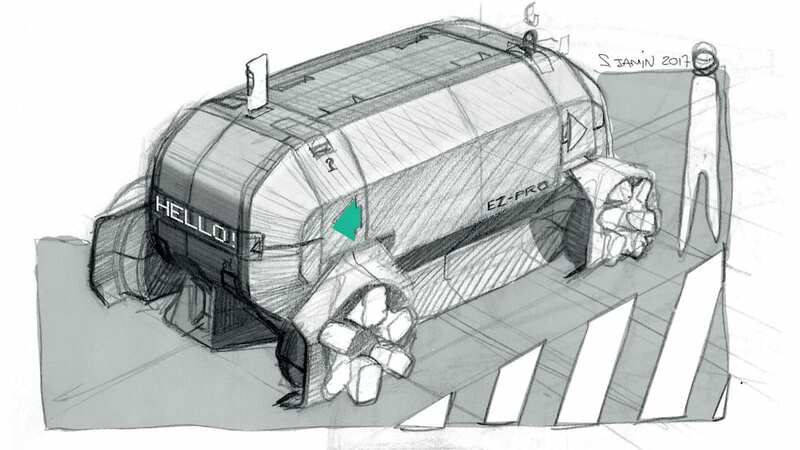 After they head out, the Robo Pods can leave the platoon to do separate dropoffs or stick together for large-volume deliveries. 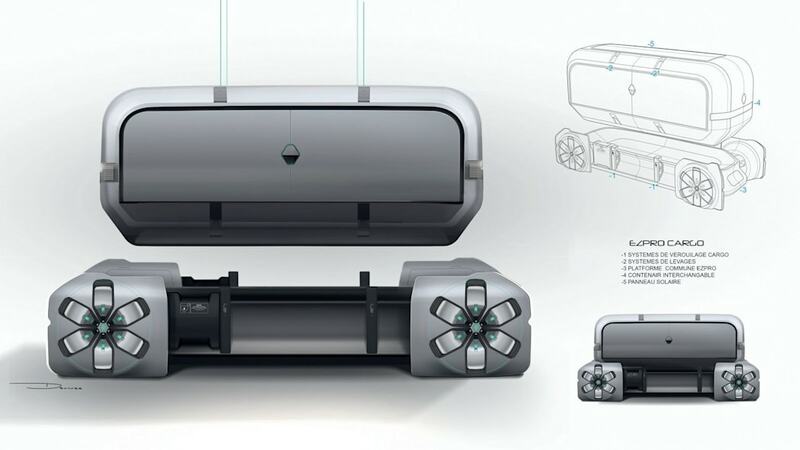 The Robo or Leader Pods can also deliver independently of each other. 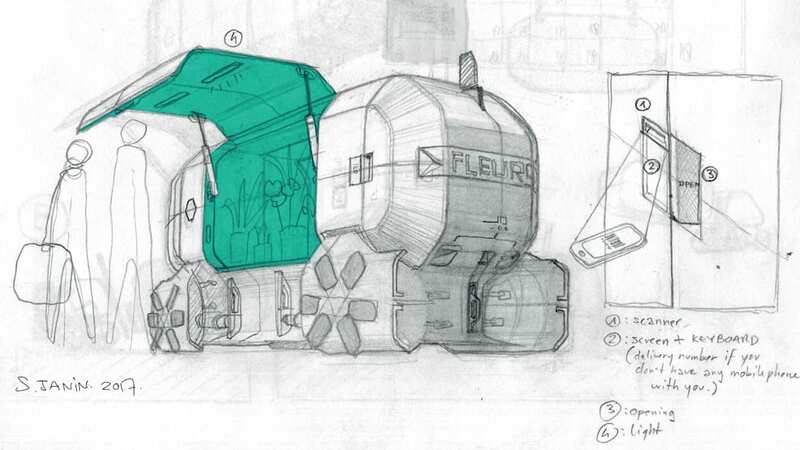 The Leader Pod is made of two parts: a cab for the concierge and a rear hold for the packages or merchandise. 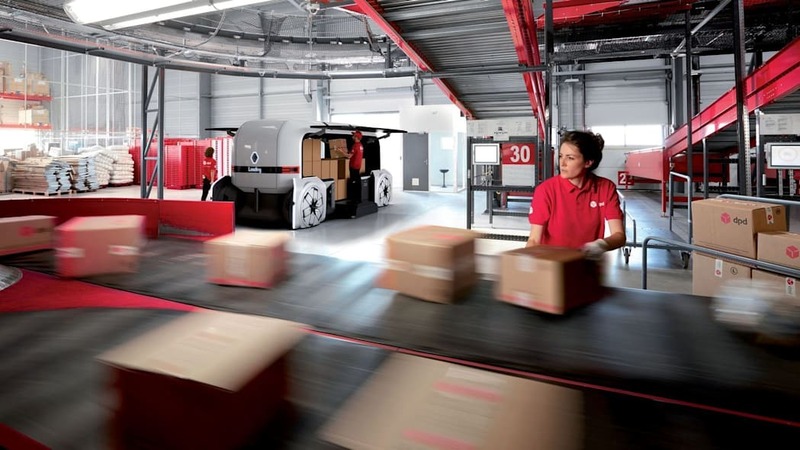 Rather than driving, the human passenger can sit in an office-like section of the cab and focus on coordinating package deliveries or doing administration chores. 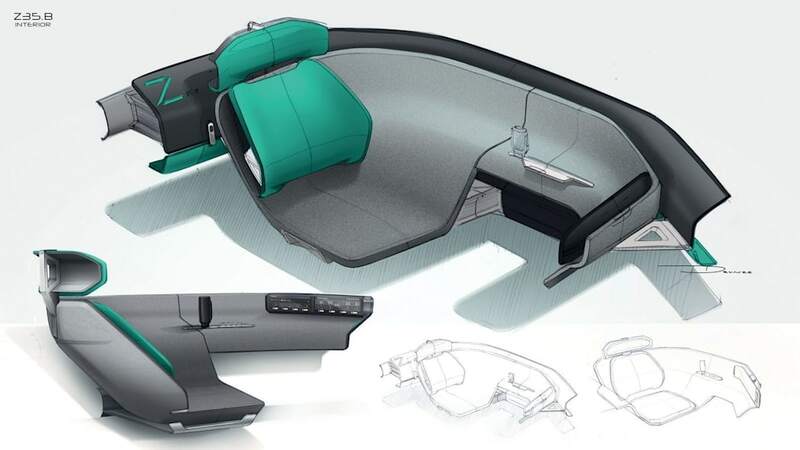 If need be, they could take over driving using a joystick and other controls. 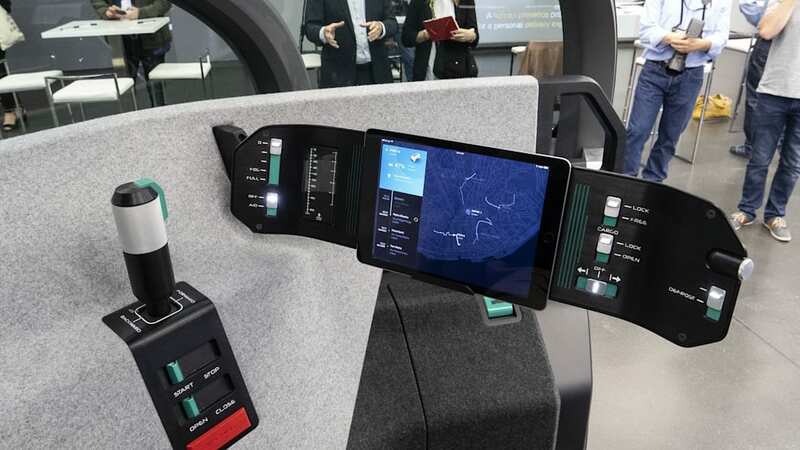 It also has a traffic-connected control screen, an iPad, USB sockets and more. 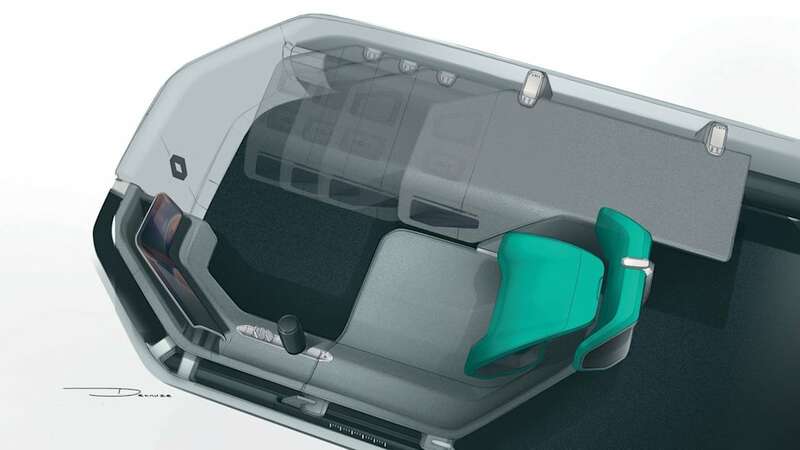 Lighting adjusts to suit driving or working, and a glass partition behind the concierge lets you see the cargo. The Robo Pods, meanwhile, are autonomous and reversible, with lights that show which way they're going (white at the front and red at the rear). 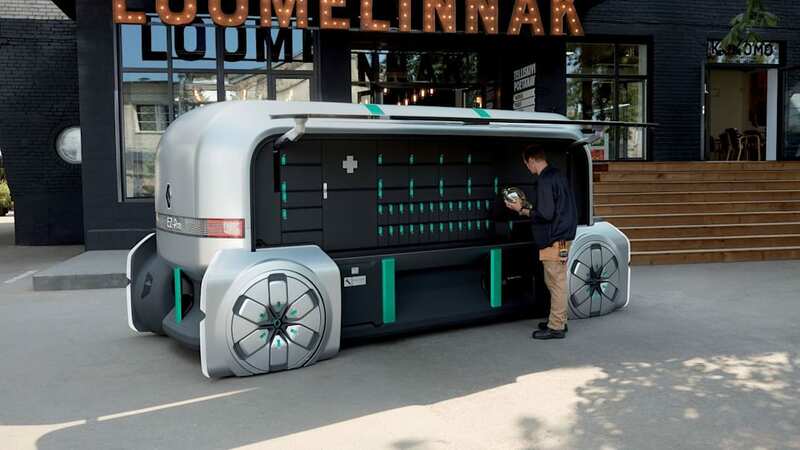 They can take multiple forms depending on the jobs they have to fill: lockers with client-specific keys for small packages, a large hold for merchandise, a food truck or even a mobile store. 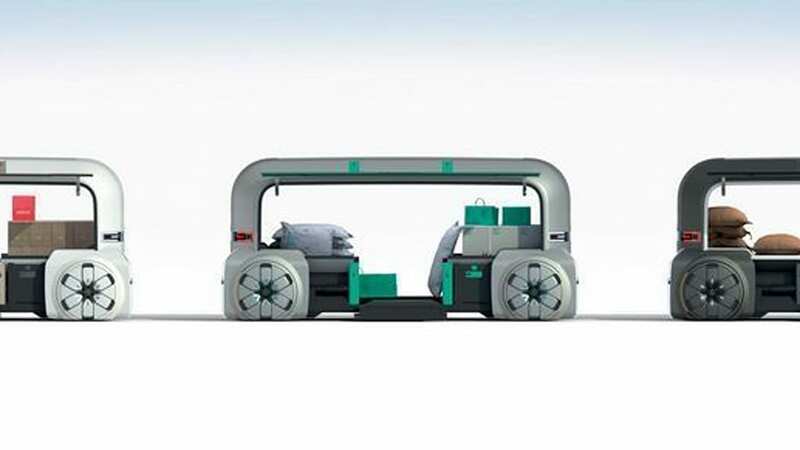 To illustrate that, Renault teamed with a logistics delivery firm, coffee supplier, champagne company and chocolate manufacturer to show off pods with several configurations. 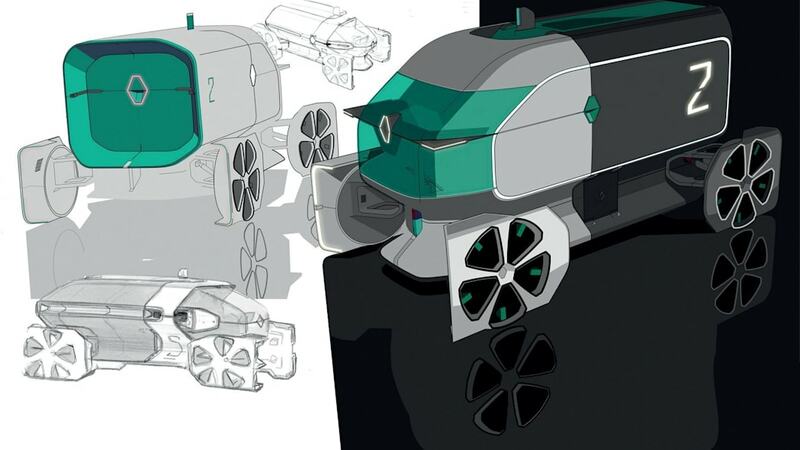 The EZ-PRO pods are vaguely van-shaped but look more like a train locomotive and its companion cars than road-going vehicles. 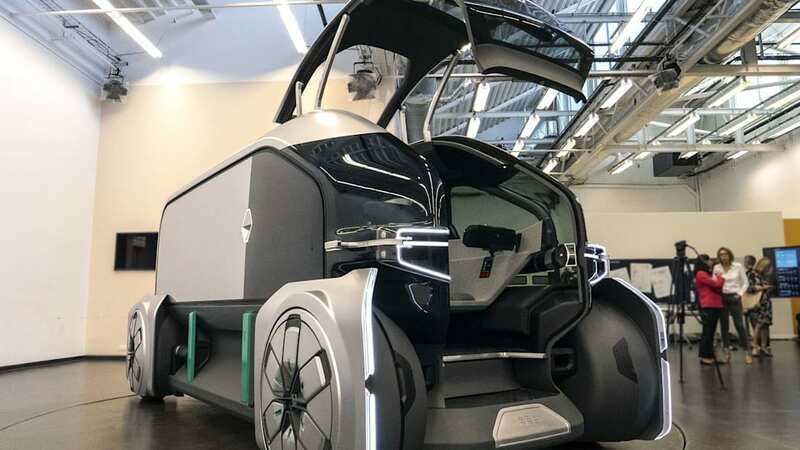 They're autonomous and electric, like the EZ-GO, and share the same platform, with rear-wheel drive, a battery on the floor and an active suspension to avoid jarring people and goods. They have four-wheel steering for maneuverability, but the wheels are covered by rather impractical fairings which hold the driving sensors, including radar, lidar, ultrasonic sensors and cameras. Renault hasn't specified the EV range or battery sizes because, well, it's a concept. As automakers tend to do, Renault describes the EZ-PRO with a lot of PR-talk, saying the colors "express technical complexity, efficiency and minimalism." The tl;dr is it's adorned with drab grey and green to better blend into its urban-concrete environment. The designers even considered the reflectivity of the side glass to reduce the visual impact of the cars. That's in stark contrast to most other concept vehicles that are designed to stand (way) out. For the interior materials, Renault used wool felt for the non-technical areas, black cork on vertical surfaces and leather for seating. The inspiration for this came from a pretty weird source: "The combination of some of these materials and the surface treatment directly reflect the spirit and the use of sportswear," it said. Renault has thought through the EZ-PRO operations in serious detail, considering it's still just a concept. For large-scale deliveries, trucks coming from a port or warehouse could carry containers pre-loaded with merchandise. They could then be brought to a hub and installed on EZ-PRO platforms. 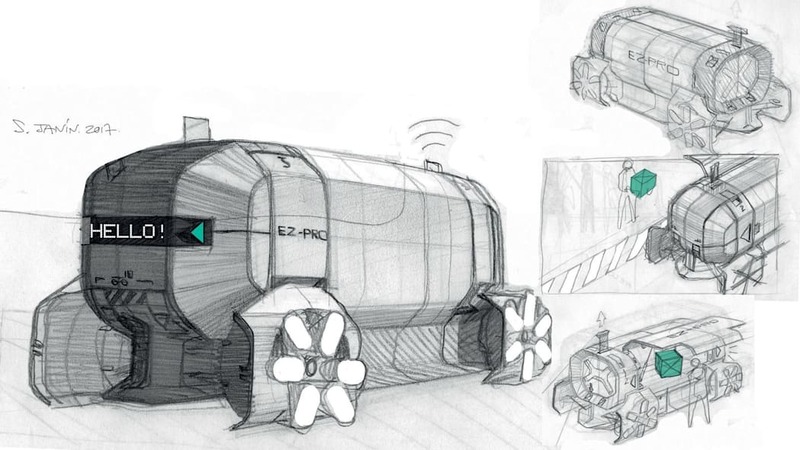 The loaded Robo Pods could then form a convoy and head to their delivery points. For smaller deliveries, packages could be delivered to a location of the customer's choice, using lockers that open to a code sent to a smartphone, for instance. A customer could also drop off his dry-cleaning to a Robo Pod, then pick it up at a set location from another pod later in the day. More valuable goods could be hand-delivered by a concierge. Daily deliveries could be made from a large wholesale market to a florist in the city or as home grocery deliveries. 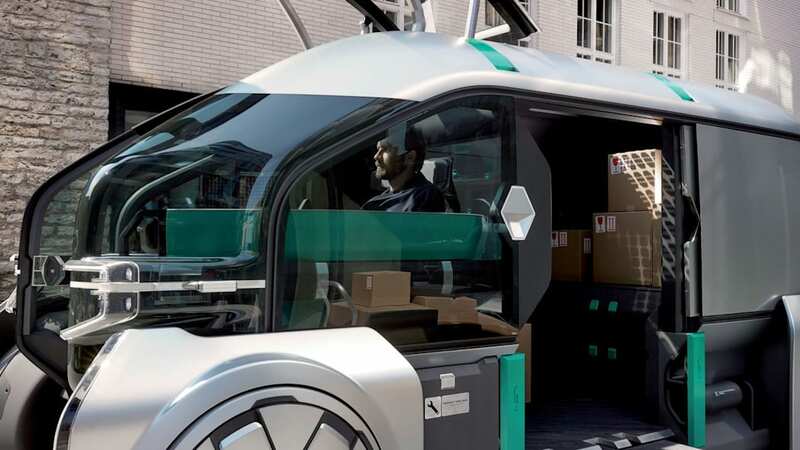 Companies using the system could customize the vehicles in its colors or change the configuration depending on whether they're picking up supplies or delivering the final goods to consumers. It could also be used to make daily deliveries to residential or commercial hubs. 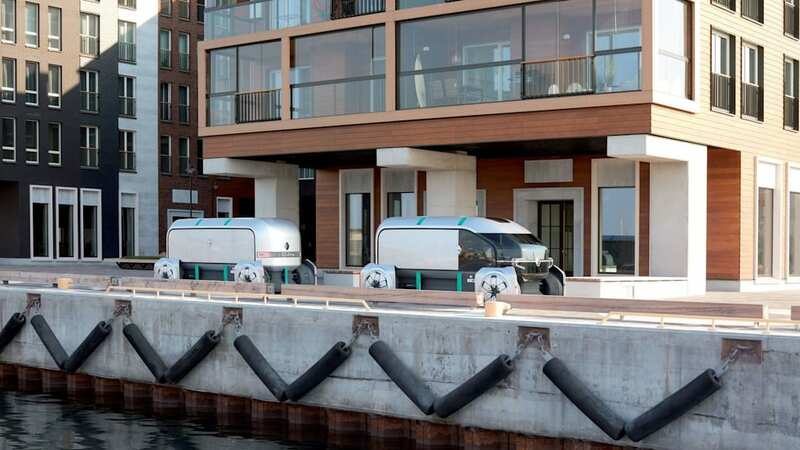 Finally, the Leader or Robo Pods could be adapted for jobs other than deliveries. They could function as food, coffee or automatic vending trucks, either with or without someone to serve up the goods. 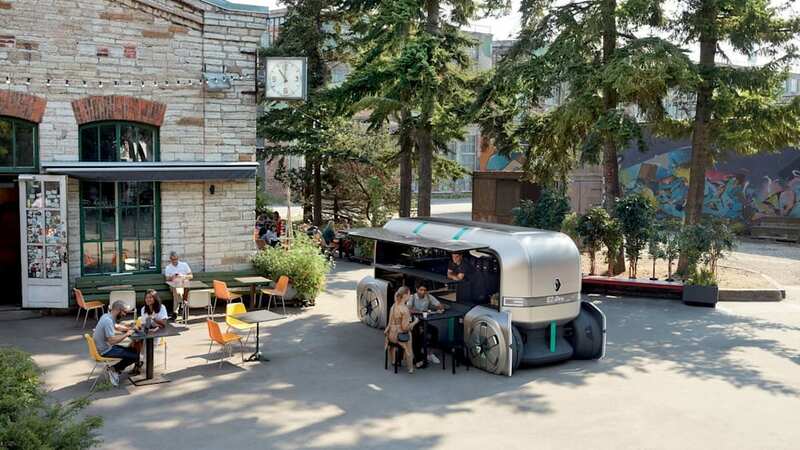 Renault showed off this idea with a pod with equipment from coffee company Jofi, transforming it into a sort of Starbucks on wheels. On top of the social responsibility (and marketing) angle, Renault has some pretty solid reasons to get a jump on the autonomous delivery market. It's the top manufacturer of electric utility vehicles in Europe and no doubt wants to keep that position. The company notes that 78 percent of folks will be living in cities in Europe by 2030, with deliveries expected to grow by 20 percent, and a whopping 125 percent in China. Costs for the last-mile delivery of a package amount to 35 to 50 percent, and totaled $86 billion around the globe last year. So it's thinking ahead to get a jump on the market, though autonomous deliveries are, despite the hype train, still a long ways off. Renault also fancies itself as a car manufacturer for everyone and not just the rich, so projects like EZ-GO and EZ-PRO are a way to flaunt its social bonafides. 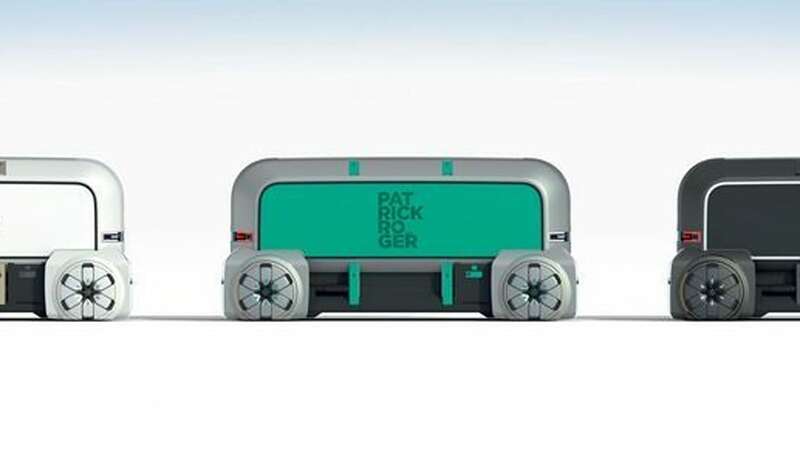 "We want to provide an easy life for customers and that also applies to utility vehicles," said van den Acker. "It's a logical extension of our activities because we've been leaders in utility vehicles for more than 100 years. We want to be at the forefront of urban mobility, and we are already everywhere, so we will make sure to have a good solution." 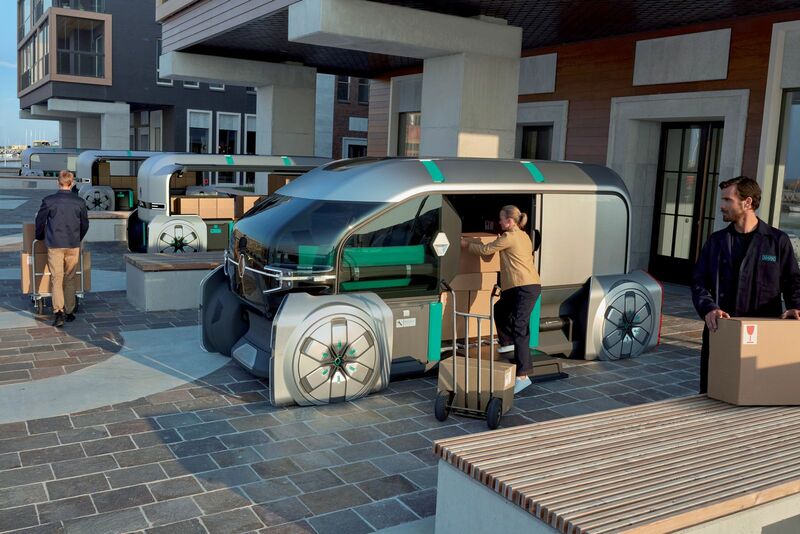 Toyota created a blueprint for multi-use autonomous delivery vehicles with the e-Palette. Unlike Renault, it essentially married the delivery and transit ideas into one vehicle. That way, they can be used not just for parcel deliveries but also mass transit and even temporary accommodation. 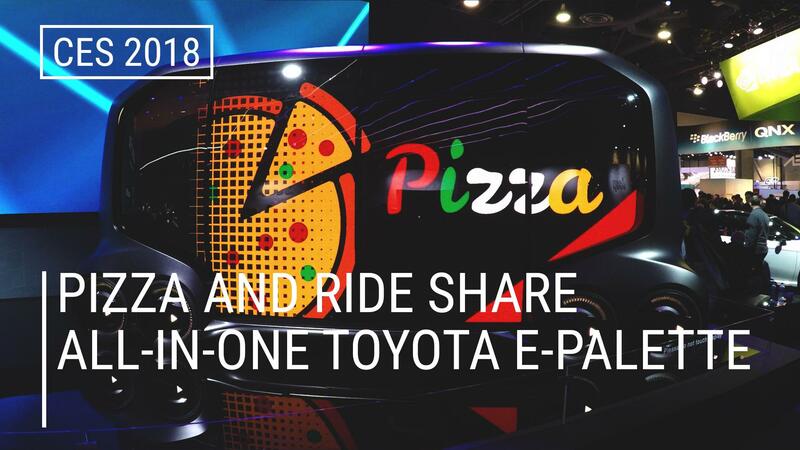 It also partnered with various firms, including Amazon, Uber, Mazda and Pizza Hut to show what the concept could do. 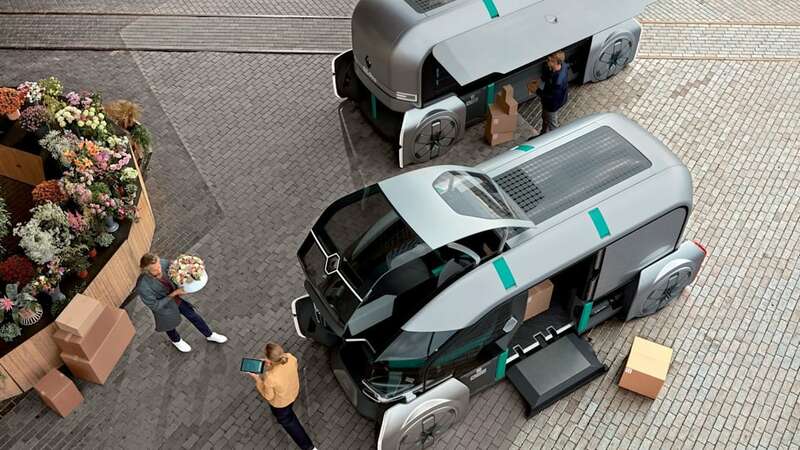 Mercedes, meanwhile, has a single platform with swappable consoles for ridesharing, a shuttle bus, cargo and other chores. 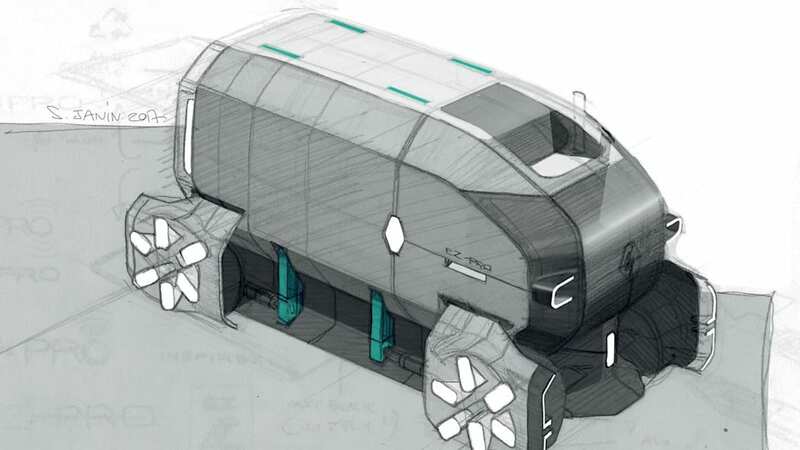 All you need to do is swap out the modules, and hey presto, you have an autonomous van or delivery cube. Renault has a lot of the same ideas but has split it into two separate vehicles. 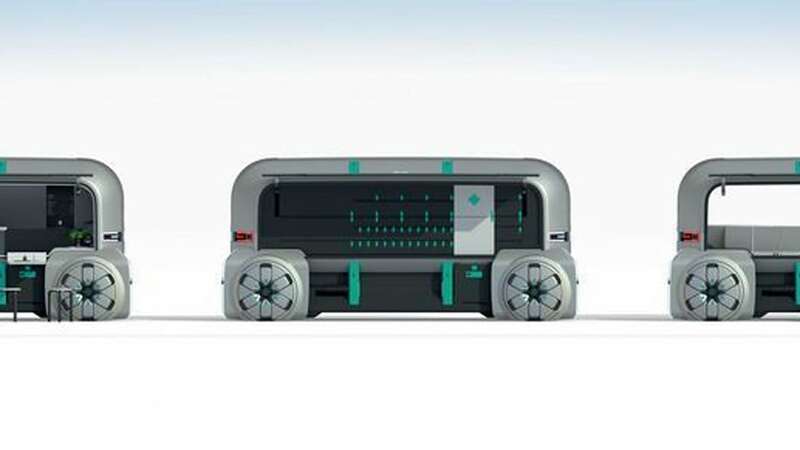 By doing so, it was able to make the EZ-PRO more business and delivery specific, with the idea of a concierge and multiple vehicles running together in a platoon configuration. The company will reportedly be launching a third EZ-class vehicle soon, one that's more about personal luxury transportation. If these concepts are ever to be commercialized, first automakers will have to nail down at least level 4 autonomy -- and the closer we get to that goal, the farther away it seems. For now, however, Renault, like Toyota, Mercedes and other automakers, has shown how concepts can be more than cool designs and raw horsepower. 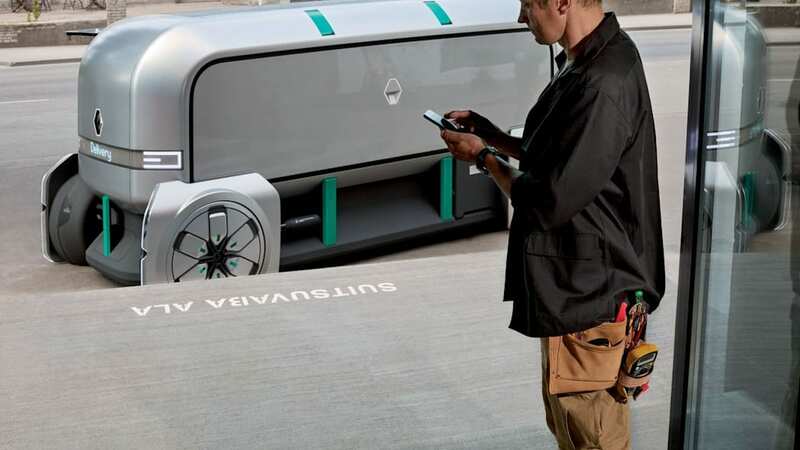 Rather, they can represent a company's complete vision of the future and generate discussion around ideas like autonomous city transportation. In that sense, the EZ-PRO is already a success.